With love for their profession, our farmers produce the Stolkse Boeren. The cheese Stolkse Boeren is traditionally handmade from pasture milk. In a time of modern technologies, Stolkse Boeren remains pure craftsmanship. 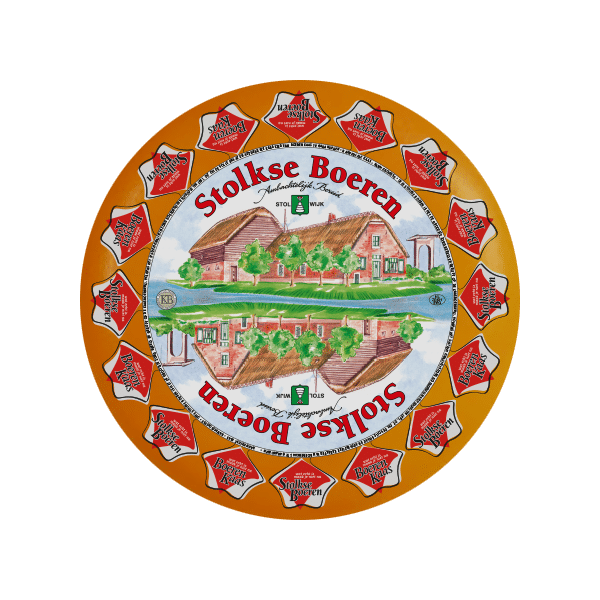 According to an authentic recipe and by ripening the cheeses solelyin a traditional way, Stolkse Boeren creates its own unique flavour! 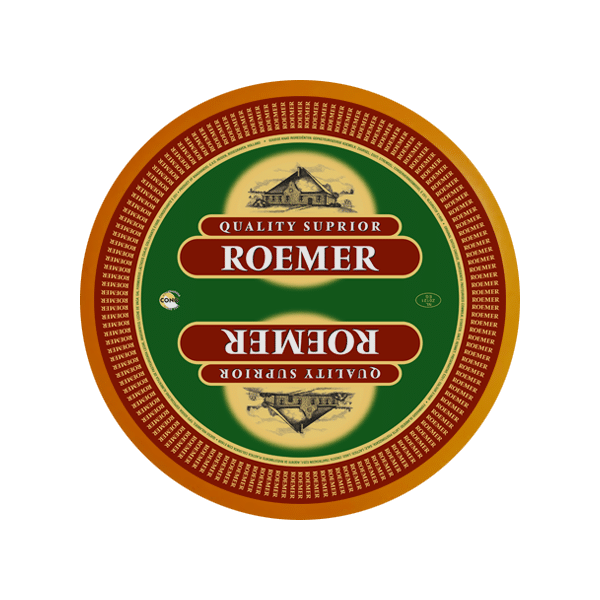 This cheese is free of lactose and gluten after ripening 3 to 4 months and is produced in Stolwijk, near the city of Gouda. Stolkse Boeren is available from mild matured to extra matured, and in several special flavours, like olive-tomato, fenugreek and truffle. Cheese from Stolwijk is also known as Gouda cheese. On the Marketsquare in Gouda, where the Kaaswaag was built in the 17th century, Gouda cheese markets, formerly known as the Stolwijk cheese market, still takes place weekly. The Dutch Farmer, a typically Dutch natural product, traditionally made by hand from pasture milk. The Dutch Farmer is traditional and pure craftsmanship. In a time of modern techniques making farmer cheese is and will always be old-fashioned handwork. 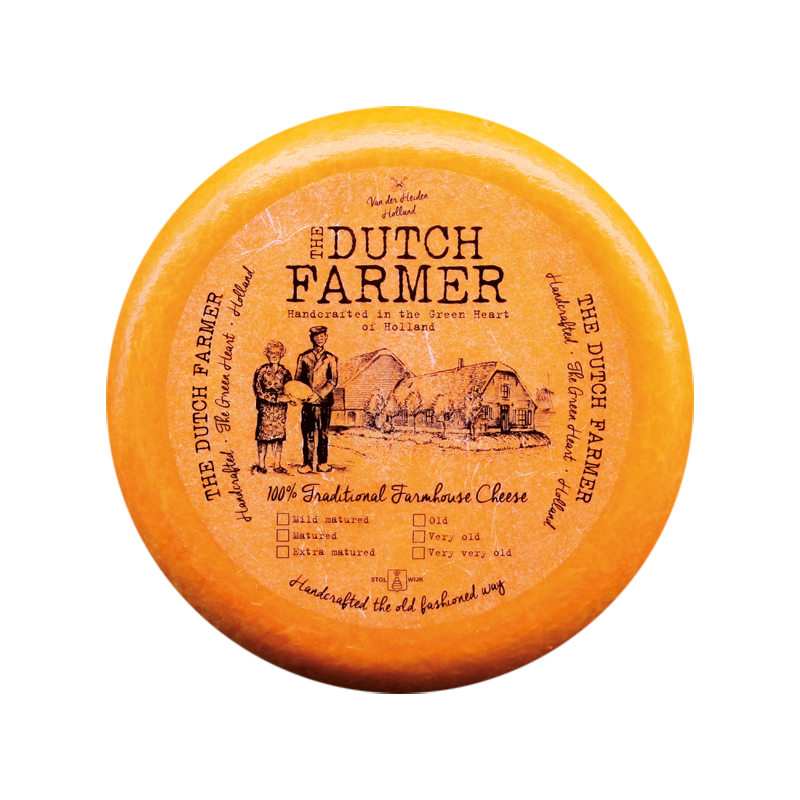 The Dutch Farmer is produced in Stolwijk, a city close to Gouda. This delicious cheese is available from mild mature to extra old. A tradition we cherish and where we can be proud of! 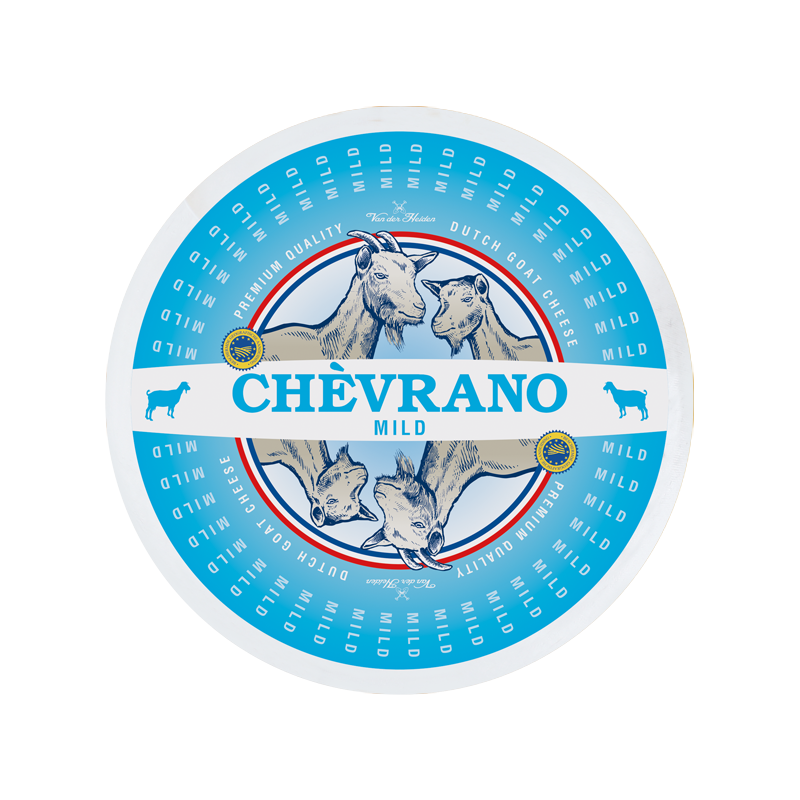 Chèvrano, a very tasty, handcrafted goat cheese, is made in the traditional way for many years. Then the Chèvrano matures on untreated wooden shelves in the cheese warehouse of Van der Heiden Kaas, until they have the perfect taste. The cheese maker continuously turns the cheeses by hand until they have acquired the quality expected of a Chèvrano cheese. The Chèvrano goat cheese range is available in a wide variety of flavours and ages. From fresh soft cheese to a delicious mature and old, hard cheese, all unique and naturally aged. The benefits of goat’s milk are well known. The cheese retains all its properties and vitamins. Chèvrano goat cheese is a suitable alternative for people with cow’s milk allergy. This special and handcrafted goat cheeses are available in several flavours, such as hot-Chili, Italy, honey, nettle, lavender and fenugreek. Have this delicious goat cheese at breakfast, lunch or use it in a dish for dinner. It also is an excellent choice in combination with a glass of wine. Dilano is a real delicious 50% cheese. A fine, young cheese with a rich creamy taste. 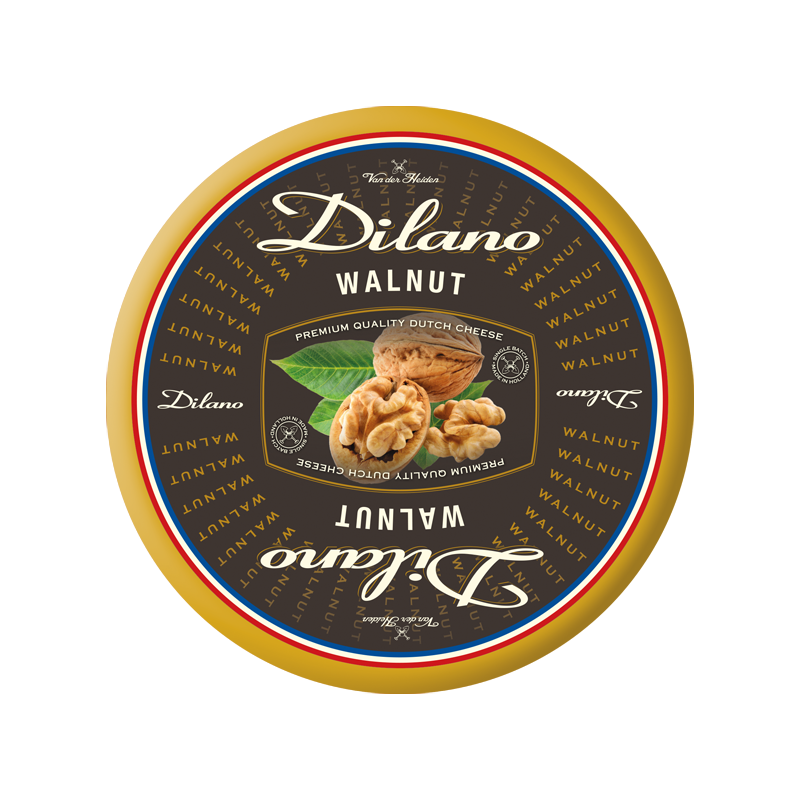 Dilano is available in many special flavours, such as hot-Chili, fine herbs, nettle, garlic, olive-tomato, walnut, mustard, fenugreek, cumin, pepper, red and green pesto, truffle, pumpkin and lavender. Therefore, a premium quality cheese, particularly suitable in combination with a glass of wine. Obviously because of the special flavours, but also by the colour of the cheese. You make your own painter's palette. A popular cheese that is internationally appreciated by people who like cheese very much, and – in addition to excellent quality - like to try something special. And do you have your own ideas on a certain taste? Please, discuss it with us and so we may come to a customer-specific new cheese. 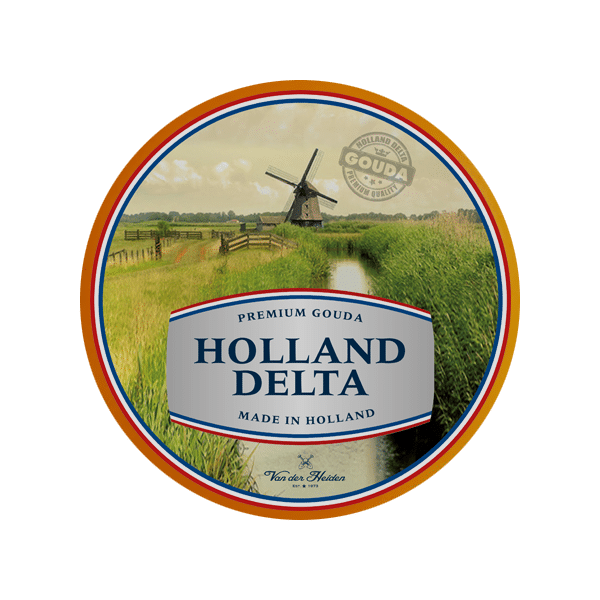 Holland Delta is our premium Gouda cheese. With this range of products, we offer volumes with exceptional quality. Our master cheese maker follows the maturing process on a daily base. From round Gouda cheeses of 5 kg and 12 kg to rectangular cheese, from mild creamy to hard matured. Make your choices known and we will deliver it. The most popular are the 12 kg young cheeses, which are sold all over the world. In addition, the 5 kg round Gouda cheeses, from young to old, are very much wanted at foreign supermarkets. Because of the different labels all the cheeses have their private look, which makes recognition easier. Most Holland Delta products are free of lactose and gluten. 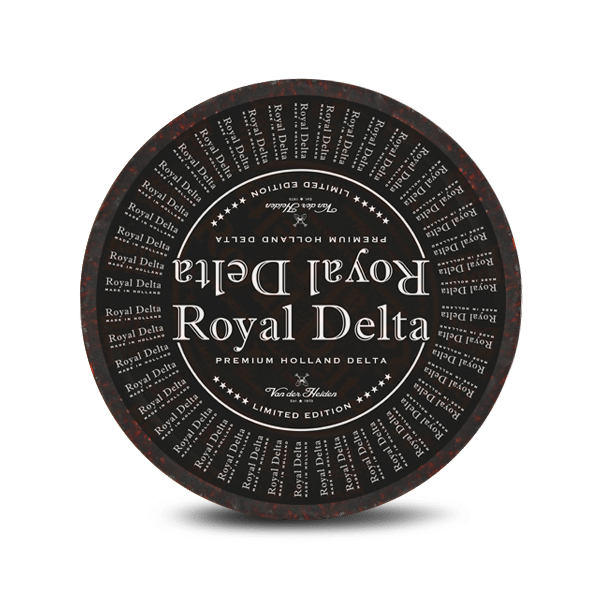 Our Holland Delta range is available from young to mature, as a 1-, 2- and 3-year naturally matured cheese. This premium Gouda cheese is available in various flavours. This range contains also a Maasdammer cheese 45%, which tastes some sweeter and nutty, and a Maasdammer goat cheese. 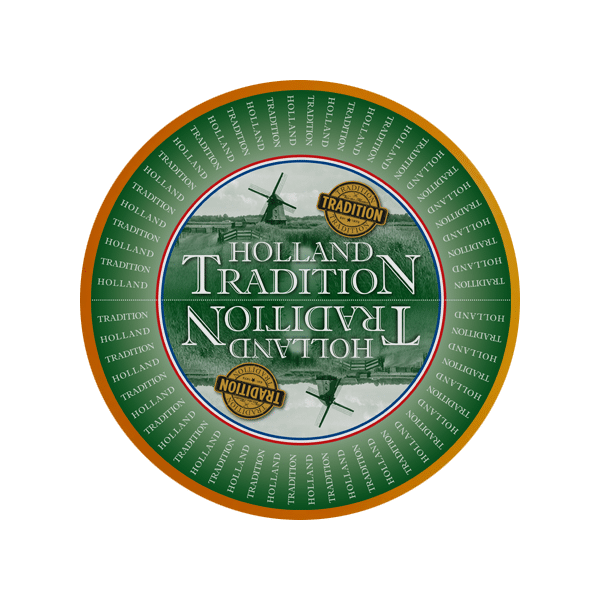 Holland Tradition is a special and in-house developed product range, which contains a small amount of vegetable fat. Despite this minimal addition the Holland Tradition has the same taste as traditional Gouda cheese. Our range Holland Tradition fills the gap for customers who must deal with import duties for cheese. Each country has its own laws regarding the import duties. This should always be checked first. This recipe makes it possible to import the Holland Tradition without problems with import duties. The mild Holland Tradition is available in a red and green pesto taste. In addition, there is a Swiss Tradition available, which is mild and have a lightly sweet nutty taste. There is also a Holland Tradition cheese spread available. 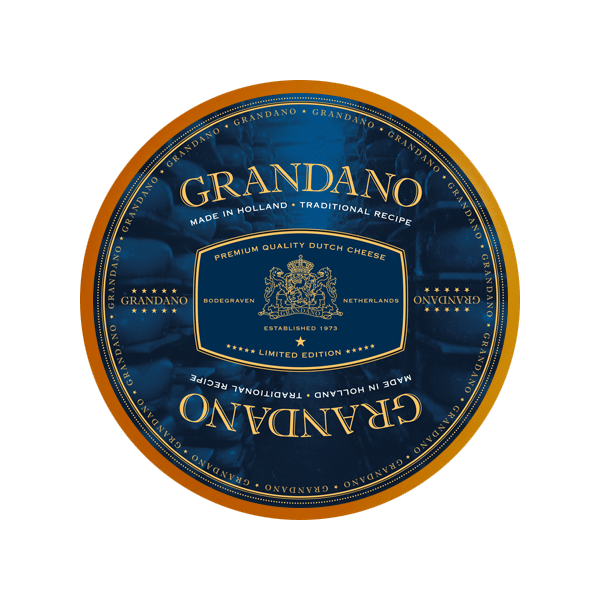 Grandano is a great tasty Dutch cheese for everyone who loves the Italian way of life. The visible salt and protein crystals give our Grandano its sweet-spicy taste. Temperamento Italiano! The Grandano is available in two variants: the Grandano Maturo and the Grandano Originale. The Maturo is a mild matured cheese, in which the first maturation crystals are visible. The original is more matured, making the flavour more intense.